Few things go together better than cauliflower and cheese, and this delicious, rich, easy to make Cauliflower Cheese Soup takes that wonderful pairing to new heights. Lunch, dinner or as a starter, this soup is a crowd pleasing winner! • To print the Cauliflower Cheese Soup Recipe, click here. Yum! Sounds really good.. Im all cheesed out for the moment but I’m adding this to my pinterest to try before too long..
Oh Im sure I’ll like it Ann.. whats not to like about that? Its very similar to a Cauliflower Bisque that I make that I adore.. It doesnt have cheese, vegetable broth, or beer in it.. and not as many spices but its base is the same and whats added can only add layers of flavor that I like! 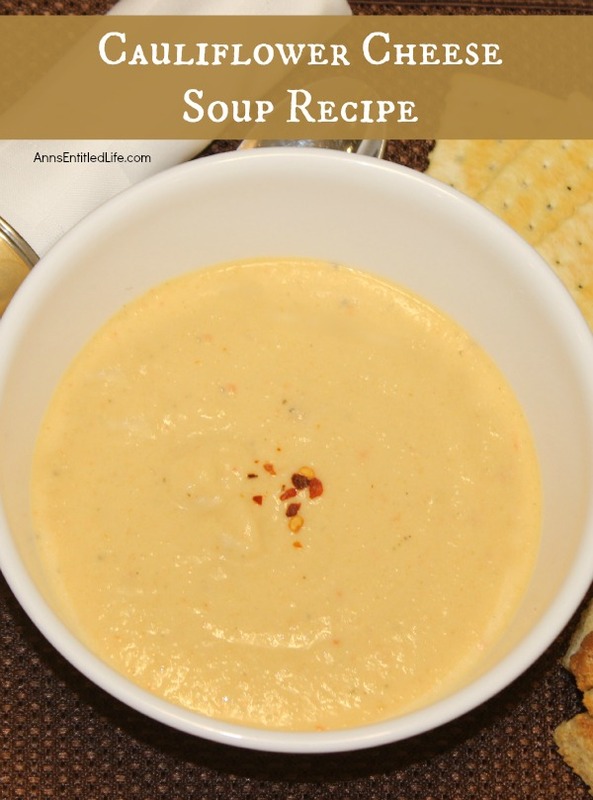 This soup looks tasty & easy to make. Pinning to Soups board. Thanks for sharing at Moonlight and Mason Jars link party. Perfect for the cold! I’ll try this out!